U.S. #3420 – The first stamp in the series. On August 24, 2000, the USPS issued the first stamp in the Distinguished Americans series. As early as 1940, the U.S. Post Office took to issuing sets of stamps honoring Americans from all walks of life that had an enduring impact on our nation. That first series was the Famous Americans. This was followed by the Prominent Americans, which were issued between 1965 and 1978. U.S. #3427A – The first stamp in the series with a color portrait. Then in the 1980s and 90, the USPS issued the large Great Americans series. The stamps in this series were all one color and had simple drawings and designs. 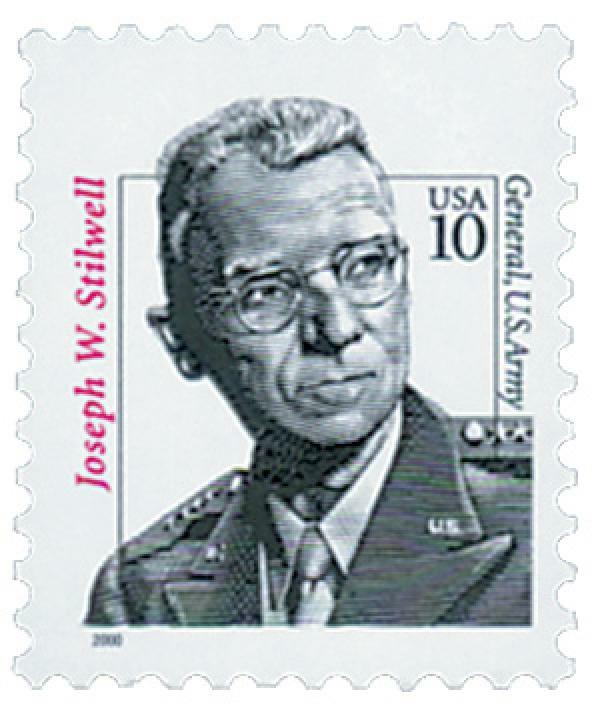 In 2000 the USPS planned to continue the series with the issue of its General Joseph Stilwell stamp on August 24. U.S. #4510 – The first full-color stamp in the series. While the stamp had a simple, one-color design similar to the Great Americans, the USPS and collectors alike felt it was too different and saw it as another series. So the USPS created the Distinguished Americans Series with that as its first stamp. U.S. #3420/4879 includes all the stamps issued between 2000 and 2014. Illustrator Mark Summers designed the first 12 stamps in the series. He used the scratchboard technique to create the portraits, giving them the look of engraved stamps. With this technique, Summers started with a completely black surface and then scratched away areas to reveal the white portions of the image. U.S. #5191 – The 2017 Robert Panara stamp. 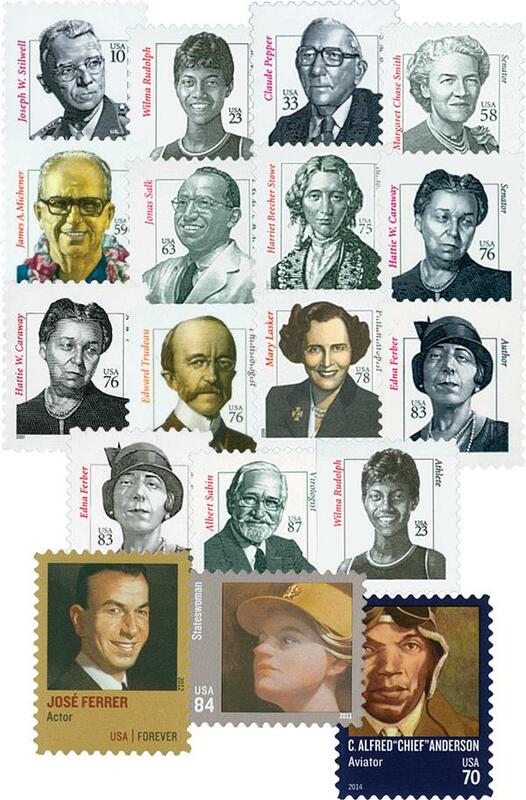 The first nine stamps all featured black and white portraits. 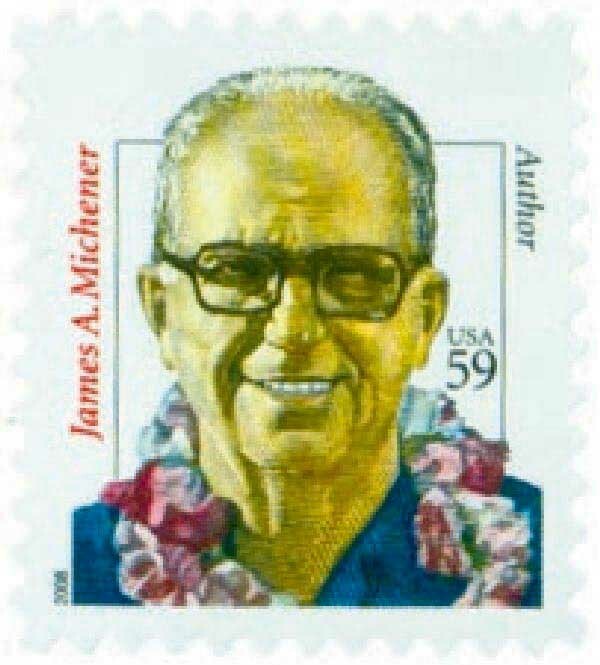 Then the 2008 James A. Michener stamp added color toning. 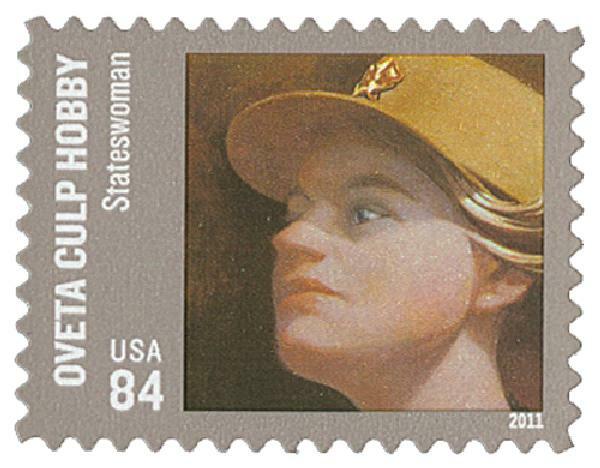 The series changed further in 2011 with the Oveta Culp Hobby stamp that had a larger format and full color image and background. Over the course of 17 years, the series has honored senators, writers, athletes, scientists, doctors, philanthropists, and aviators. 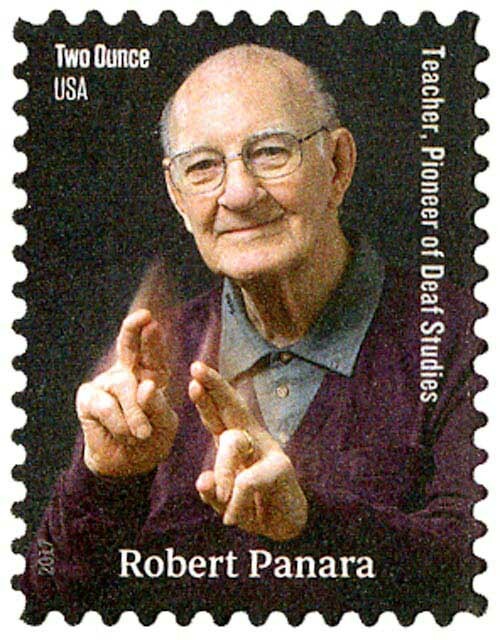 The most recent stamp, issued in 2017, honors educator Robert Panara. Remember – you can find more conditions and First Day Covers – and order these stamps for your collection – by clicking on any of the images above. Click here to see all the stamps in the Distinguished Americans Series. 3 Responses to "This Day in History… August 24, 2000"
Thanks. It is always interesting to learn the different methods used to create stamps. A lot more to it than meets the eye. This day is my day in history in the year of 1928, at 5:25 A.M., that I arrived, on this earth. Since Mystic started This Day In History in 2015, I have learned a lot more history than they taught history in my education. Thanks Mystic.